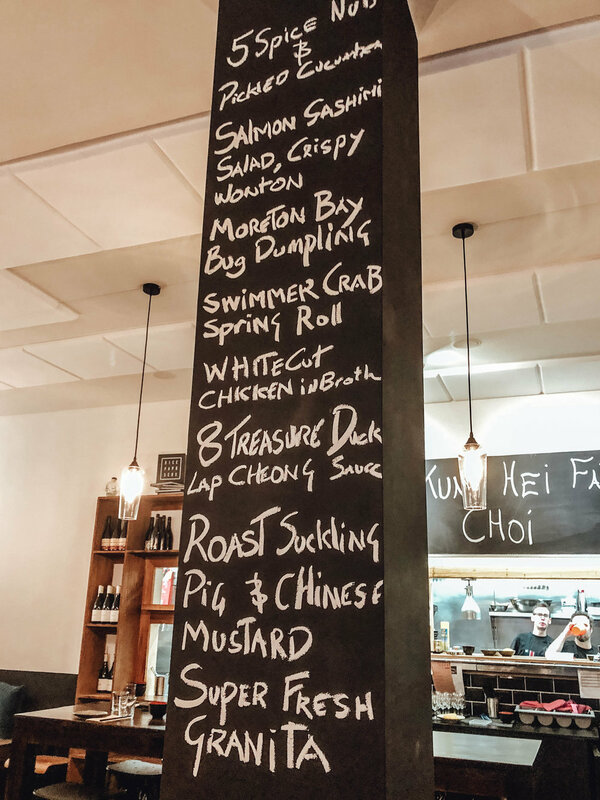 The 'Lucky 88' feast at Rice Paper Sister (@ricepaprsistr) features 8 courses and, you guessed it, 8 drinks. All this indulgence in celebrating Chinese New Year of course. The prominence of the number '8's, the lucky number in Chinese culture, signals for a treat. The fact we did a 2.5 hour 'degustation' of sorts, pan Asian style is truly unique and notable for Rice Paper Sister's efforts to blend traditional Chinese food with the fusion flare the restaurant (and its sister restaurants, Rice Paper Scissors) is so well known for. My dish of the day was the beautifully presented "Hainanese Chicken RIce", a longtime childhood favorite of mine growing up. 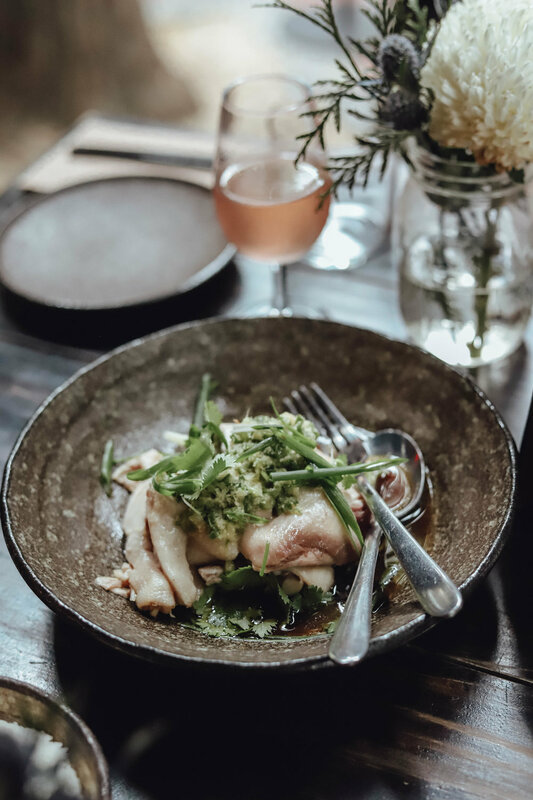 Personally I think its known name has more of a ring to it than 'white cut chicken in broth' per the menu, plus instantly recognisable as one of the most loved dishes of South-East Asian cuisine. I love it for all the flavours of the broth, the absolute tenderness of the boiled chicken, and the array of condiments to which you eat it with! From the ginger & spring onion sauce, to garlic-chilli sauce and topped with coriander (I'm a lover, definitely no hater, of this polarising herb! ), it's a dish full of flavour and so easy to eat. If I could play favorites to multiple dishes, then these Swimmer Crab Spring Rolls would be coming home with me!! 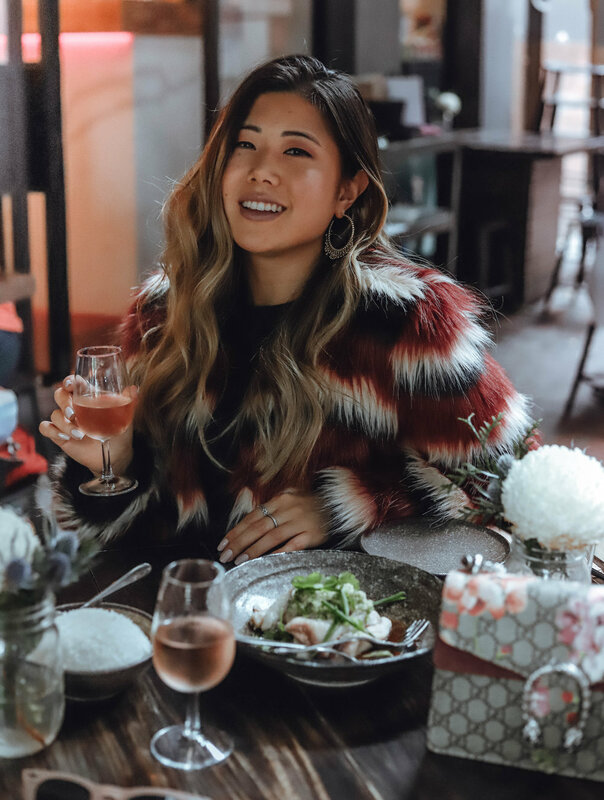 Absolutely delicious and such a GREAT twist on the traditional spring roll - I mean who can say no to the good ol spring roll on any given day anyway! For lovers of seafood, in particular crab, this will have your mouth watering!! Of course, no meal is completed without dessert. This 'Super Fresh Granita' means business! Seemingly a simple dessert to round out the eight courses, this was the perfect sweet ending to a long lunch. 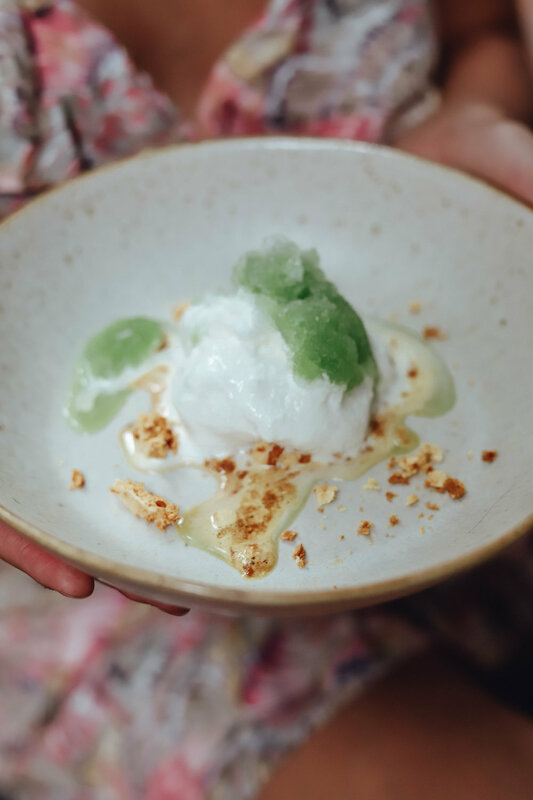 The creamy coconut ice cream combined with the cooling hit of the shaved ice granita (plus the honeycomb pieces that were more apparent our second helping of dessert) went down a treat.